Escocia ha perdido casi un tercio de sus empleos de energía eólica en tierra en un año, mientras que el empleo en energía eólica marina aumentó en un 55%, según nuevas cifras. // Scotland has lost almost a third of its onshore wind energy jobs in a year, while offshore wind employment increased by 55%, according to new figures. The Office for National Statistics (ONS) statistics show employment in onshore wind fell by 2,400 jobs from 8,200 in 2016 to 5,800 in 2017 – a 29% drop. At the same time, offshore wind employment increased from 2,200 to 3,400 jobs. Other forms of renewable energy also showed a mixed picture across Scotland, with solar power jobs dropping by a quarter from 400 to 300 in the same period, while energy from waste and biomass jobs rose 75% year-on-year to 2,100.
enny Hogan, Scottish Renewables deputy chief executive, said: “Industry has repeatedly warned the UK Government that locking our cheapest forms of electricity generation – onshore wind and large-scale solar photovoltaic – out of the energy market would cost jobs. “Those predictions have now been thrown into stark relief by the Government’s own figures – 2,400 jobs have been lost in an industry which is bringing enormous social, economic and environmental benefits to Scotland and providing skilled jobs and investment to some of the most remote parts of the country. “While employment has grown in other parts of the renewables sector which have seen continued government support, the impact on onshore wind and solar jobs shows the cost of not supporting the industry as a whole. The organisation said onshore wind and solar power in Scotland produce enough energy to meet the equivalent of 47% of the country’s electricity needs. Overall, employment in low-carbon heat fell 14% between 2016 and 2017 from 2,800 to 2,400, while low carbon electricity jobs rose 1% to 23,000. Further statistics show Scotland’s total turnover from low carbon electricity, including on and offshore wind, solar, hydro power and nuclear, rose 6.5% between 2016 and 2017 to EUR 6.7 billion. At the same time turnover from solar power fell 69% to EUR 62 million, while onshore wind turnover dropped 4% to £2.8 billion and offshore wind fell 5% to EUR 511 million. The turnover for low carbon heat fell by 35% in the same period to EUR 458 million. 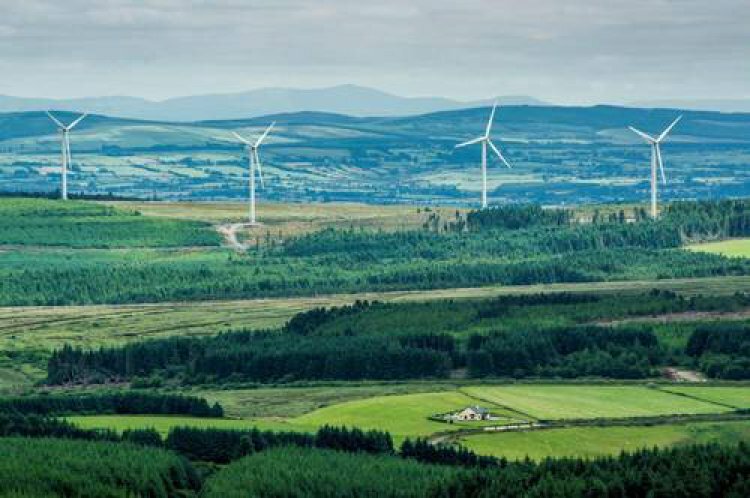 Industry body Scottish Renewables said the loss of onshore wind and solar power jobs reflects UK Government decisions they claim “locked” these types of projects out of the market.